This weekend was my first taper weekend. So that left more time and energy for other things. 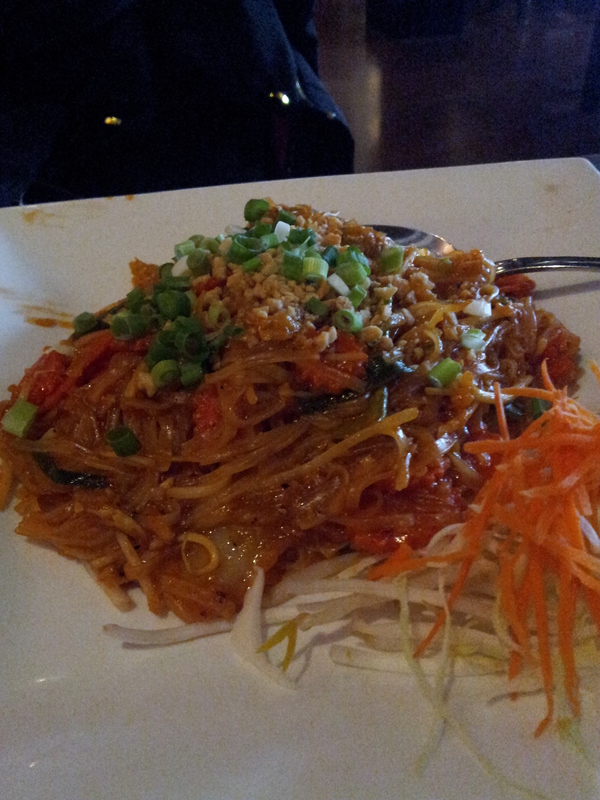 On Saturday we went to Nibbana, a Thai restaurant in Bellevue. We have been here a few times for lunch and it is so good. The veggie phad thai is my favorite. We managed to watch the most exciting parts of the Red Sox game. One of the things I like about living on the West Coast is I can watch all those late games. They end at 9 not midnight. On Sunday, after my last long run of only 12 miles, we watch the Pat’s game which was on a local station. It was a rough loss. After the game we went to the Red House. 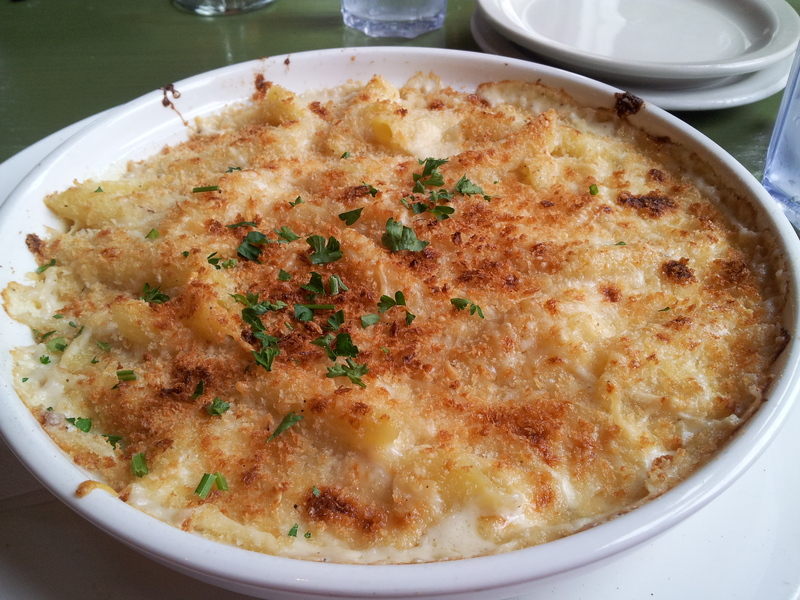 I finally splurged and had the Mac & Cheese. It was delicious. We then headed to Carpinito Brothers for pumpkins. 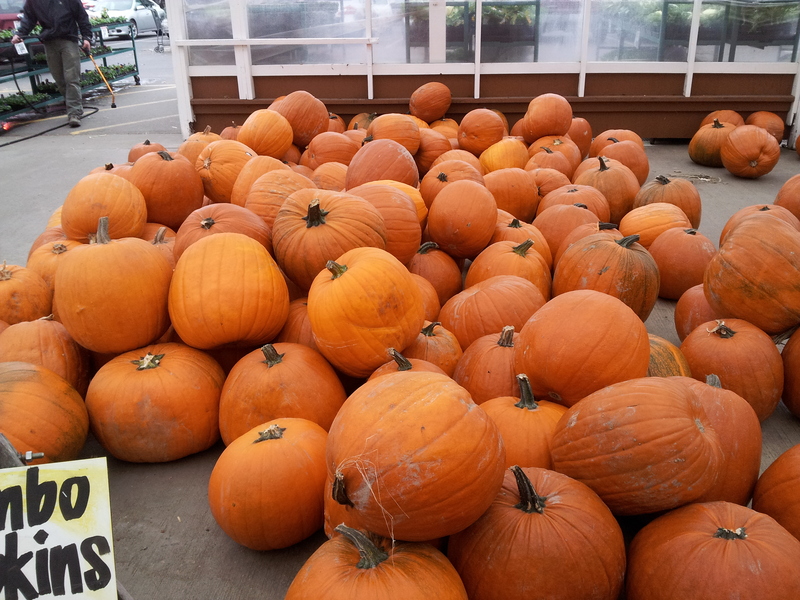 They have the biggest pumpkins we have seen in the area. New York is in 13 days! Super excited. I have a few aches that I know the taper will help heal. This entry was posted in Uncategorized and tagged Carpinito Brothers, Nibbana Restaurant, Red House Restaurant, Running. Bookmark the permalink. Oh the food — it all looks SO yummy!